Ok Simon, I don't know you but you seem like a real fun guy. You have a collection of questionable tampers....what were you thinking. You drink takeaway coffee from brands and keep their cups in a worship memorial.....rememberence of how the mighty can fall. 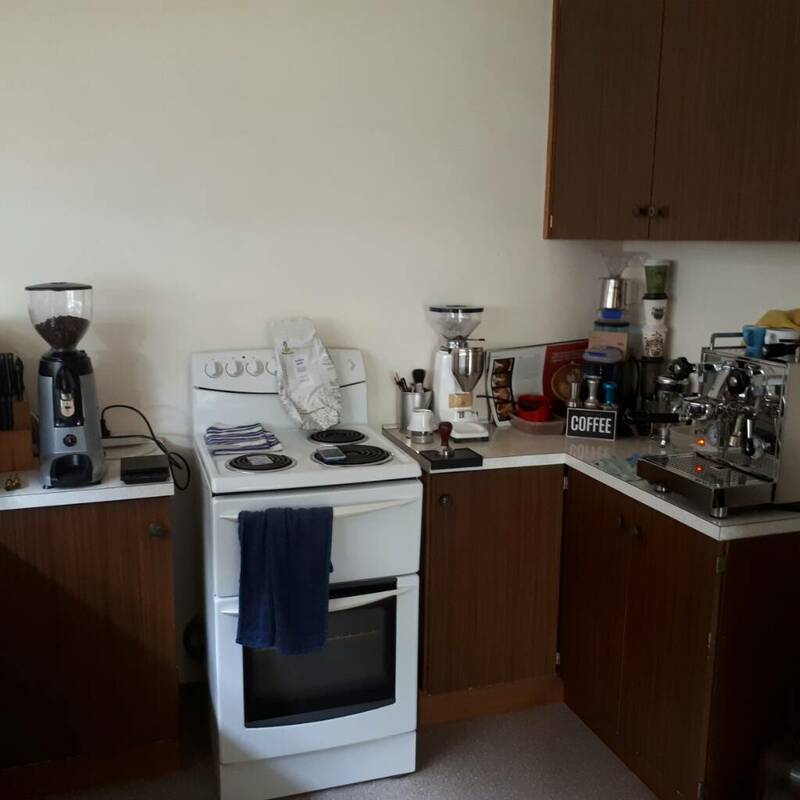 Your significant other is secretly very angry at you for hogging so much of the kitchen space for your coffee shrine. Imagine peeling potatoes hunched over a small sink.......oh what a naughty boy. 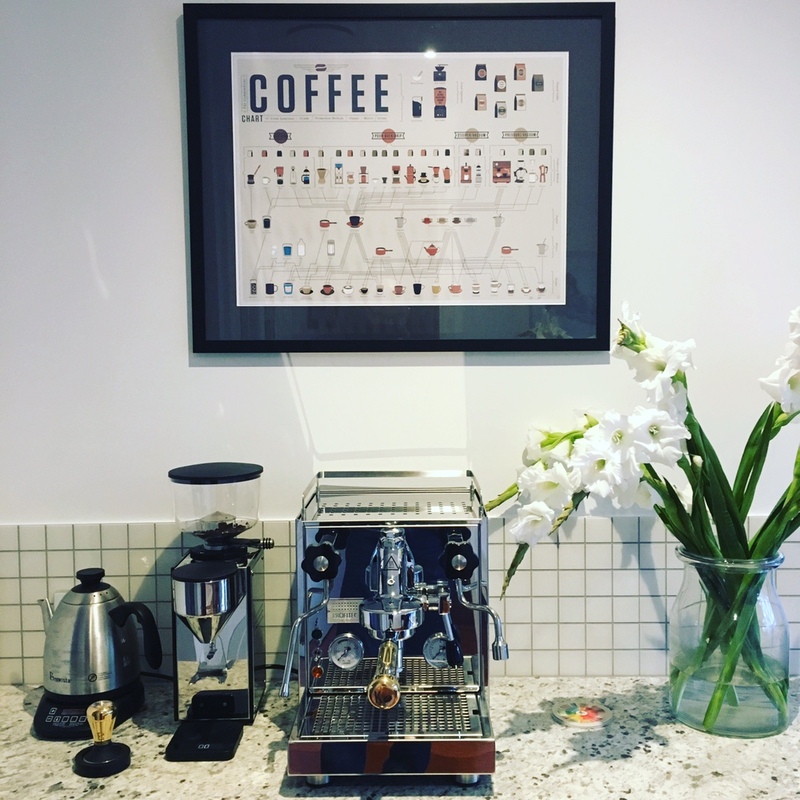 You enjoy the distance between the grinder and your machine as it lets you sprinkle grounds that inadvertently spill everywhere thus marking this space as the shrine. Is there something missing.....did someone say......acacia scales, or should there be a heat shield protecting the grinder hopper from the cooktop elements in summertime ? Hope you enjoy your new grinder. Stop, stop... I have tears!! I noticed the swanky new grinder Simon. Kudos! Now seriously... why all the tampers? Alot of it's just stuff I had laying around, just prettied up the area haha. Does look shrine-like huh! The tampers are as follows: the first is a convex tamper I bought many moons ago, for some unknown reason! Second is one from my old workplace they gave me as a gift. Third is a 58mm tamper. And the one on the mat is a 58.5mm Pullman which I actually use . The takeaway cups I'm not too sure, I just had them, and stacked them! And I sprinkle it like pixie dust whilst prancing about! 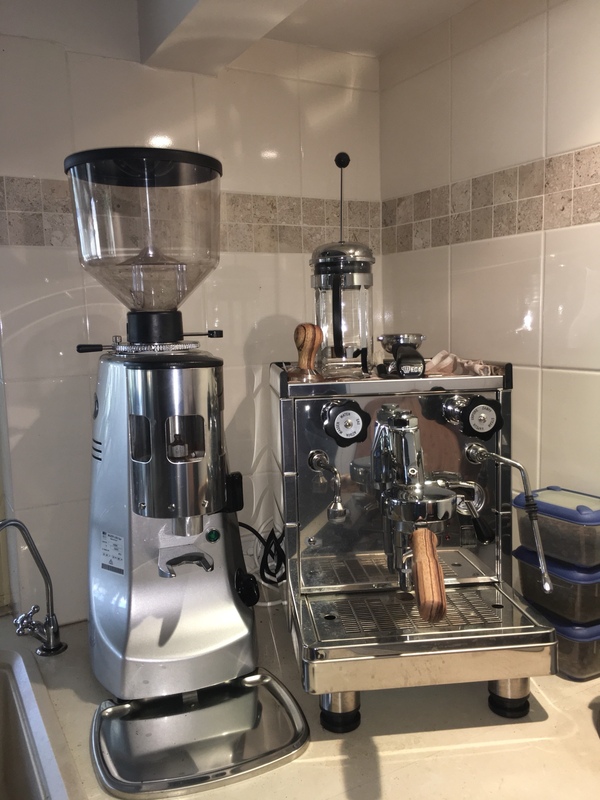 XD nah they just fit nicely there, and I like having distance between machine and grinder, don't want any possibility of moisture near the grinder! Now that I look back at it, it is quite ridiculous! Hahaha I quite enjoyed the post too, tampers just tended to build up without warning or announcement of any kind, either that or it's part of a coffee-based juggling act! And I strongly considered some sort of shield... but when that stove gets a-usin' that tamper goes a-cruisin'! Ah yyyuss!!! Old fave! Enjoy! Sneaky play Simon, love your work.......Oh, and you got us........thinking all along you had noble intent to reduce the shrine and it's just grown larger replete with pot-plant stand, sorry coffee cup holder ! You should write a book or film a UTube on how to "get away with it". p.s. 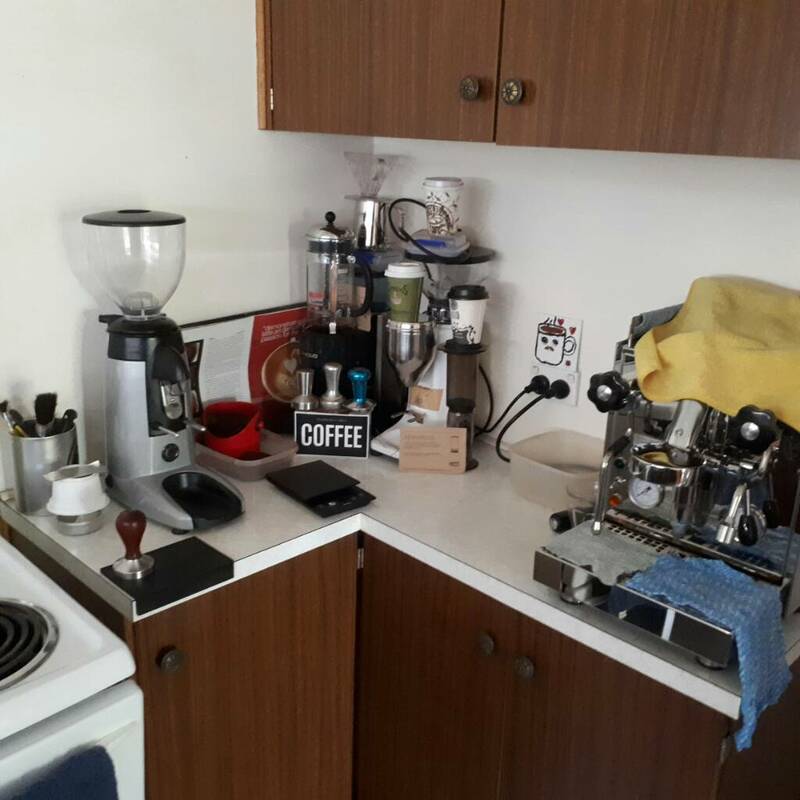 I see space for a Robur squeezed to the right of the K3. HAHA XD sneaky or out of control! Yes it just keeps growing, like a juiced up garden haha.. I will downsize I WILL!! I didn't see it as sneaky... more of a natural growth pattern. When an ecosystem is healthy, it grows! Feed that rainforest Simon, feed it well! i believe its officially known as 'as espresso bling bracket creep' ! What the heck is that and why don’t I know about it?? Off to google! ...and I have really warmed to it’s looks. The 2 models I am looking at are from Auber Instruments. One is the Delux model $149 and the other is the Delux model with steam control for $187. I have done some various searches but I have no yet seen any descriptions on whether it is worth it to get the steam control. The only post I found on another forum seemed to indicate that the steam control isn't a separate PID control (not really sure what is meant by that). My initial thought is that I would go without the steam control and just watch the temperature indicator to see when the light switched off. I would then know when to start my steam by just beginning a few degrees before the light is set to go off. Thoughts? 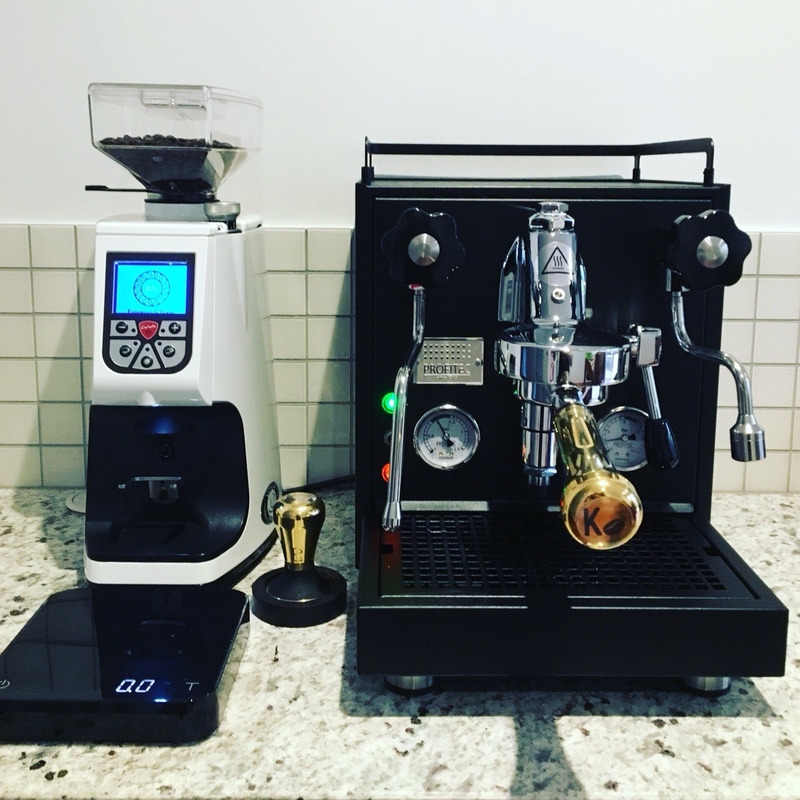 The reason I am looking at the Auber is twofold, (1) I like the style of it and how it seems to visually integrate with the machine and (2) is is less costly then others I have seen. Hi Pollo and welcome. I Reckon you've got your post in the wrong place mate. Where did you intend this to go? I was hoping for grind by weight and a Stainless finish. Perhaps version 2.0...? ?